Who Does This Compact Mixer Appeal to? Conclusion – Is The Mackie Mix 8 Right For You? Buying a mixer is an important thing to do when you want to get the best audio possible. If you are a musician or someone who has live music performed at your place of business, then you want to give the fans the best sound that you can. To accomplish this, you need to have access to a high-quality mixer that can do the job easily. There are so many mixers on the market, though, and it can be very tough to pick out the one that will work best for your needs. Thankfully, you will be able to find what you need after doing just a little bit of research. 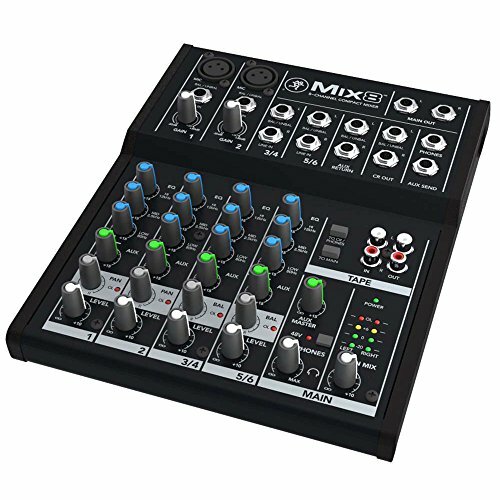 If you are on a bit of a budget and want to get the best mixer that you can at a low price, then considering the Mackie Mix 8 is sensible. This is an eight-channel compact mixer that will be able to give you very professional sound quality. Mixing will always be simple when using a unit such as this. The price is definitely very appealing and it makes it easy to just jump into a purchase if you want to. You should always look into things deeper before deciding to spend your hard-earned money, though. Take the time to look into everything that the Mackie Mix 8 has to offer. 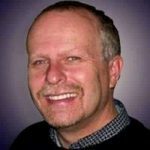 This will give you a good idea of whether or not it is fully featured enough to meet your specific needs. The very low price of this unit makes it so that most people who need a mixer will be able to afford this. This is something that will very much appeal to musicians as it has a good build quality. This is a rugged type of mixer that could easily be carried around to different gigs. It is compact enough to tote around with ease and it still has good durability. To add to this, professional DJs will be able to make use of the Mackie Mix 8 for their needs. This eight-channel mixer could be perfect for hosting any type of event. If you are the type of DJ that runs the local karaoke night in town, then a mixer such as this will be superb for setting up multiple microphones and mixing the sound just right. This has the quality that you need to get great sound. Churches will love the Mackie Mix 8 as well due to its ease of use. Using this Mackie mixer is going to be very appealing to anyone who needs to get audiophile sound without making thing too complicated. You can mix the audio for all of your worship music and it will sound fantastic when things are done right. You have eight different channels to work with and this should be enough for most worship music setups. People who want to use this for a home studio should have good results as well. If you are a musician who likes to record and mess around with song ideas at home, then this should work out very well. It is inexpensive and is still able to offer you the most reliable quality. This is a good unit that can really make your sound stand out if you use it correctly. Unsurprisingly, you will not be getting any extras in the box. The Mackie Mix 8 is already an incredible value with just the unit itself being included. This does mean that you will likely need some extra cables to get things going just right. You may want to take the time to purchase some TRS cables or some RCA cables so that you can integrate this into your setup. Either way, just know that you will be getting a fantastic deal. The features of this unit are where things start to stand out as being excellent. This unit is very low in price but it still offers some incredible features. Right off the bat, you will see that this is an eight-channel unit. It has great high-headroom and it also offers you low-noise performance. There are two mic/line inputs and both of them offer studio-level audio quality. You will be able to make use of pan, level, and overload indication to ensure that your mixing is a success. It also has phantom power for studio condenser mics. This makes things as convenient as possible for you in both live and studio settings. There are two stereo 1/4” line inputs as well as three-band equalizers on all channels. This helps you to achieve precise tone-shaping and it allows for the clean sound that you are desiring. You can also rely on the one aux send with stereo 1/4” returns. This versatile unit is definitely fully featured and capable of helping you to achieve the best sound. It should also be noted that this unit has a rugged metal chassis. You can use this mixer without having to worry about it becoming damaged. It is a perfect companion to take on the road with you. This will be a good tool for any type of touring band to own. A very good alternative to the Mackie Mix 8 is the Behringer XENYX 802 8-Channel Compact Audio Mixer. This mixer is really similar to the Mackie Mix 8 when it comes to features. In some ways, it may even surpass the Mackie in terms of overall depth. They are basically the same price and both are very appealing options. You cannot go wrong with either of these high-quality mixers when you need something that offers quality mixing at an affordable price. The Mackie Mix 8 is definitely something that is worth your time. If you need a really good mixer that does not cost an outrageous sum of money, then you will be pleased with this product. You can count on this mixer to give you great sound and to be easy to use. It is a durable mixer that you can even take on the road with you if you need to. Whether you are in a band or you want a nice mixer for your church, this Mackie Mix 8 is a recommended product. It works very nicely and is worth the price. The comparable Behringer XENYX 802 will also work well for your needs. Consider either of these units if you are shopping for a mixer while on a budget. You’ll get a high-quality product and your money will be well spent.